Writers write to feed that demon-babe who cries out from the misery the world has inflicted upon it. Hemingway and Orwell wanted to use their gifts to help change the world for the better. And the world, I believe, is glad they did. 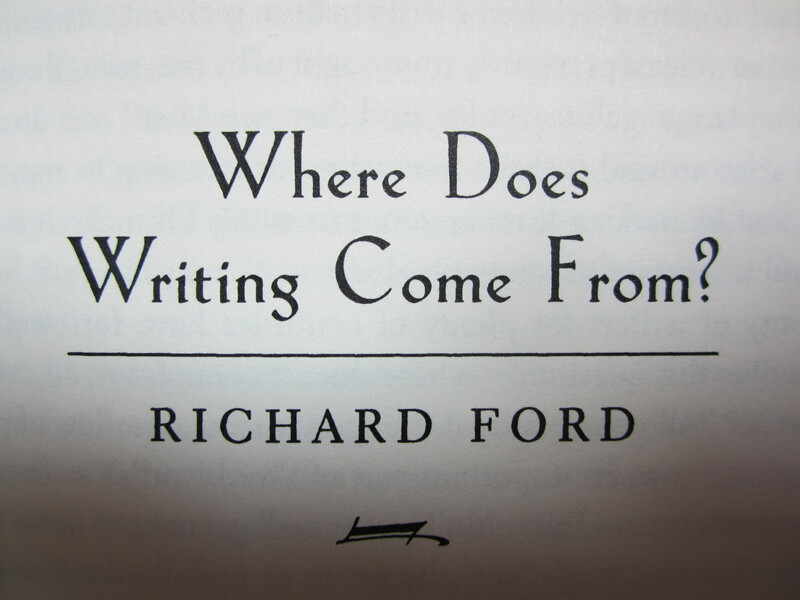 Why I Write (1998) edited by Will Blythe is a great collection of essays by 26 writers for any writer at any stage of his/her craft and career. But before we get to the book review I would like to break precedence to let you know why it is I write; this next part is absolutely true. On the side of a snowy mountain in Santa Fe, New Mexico an eight-year-old boy was abandoned by his elder brother and sister for more daring slopes than the practice lift. The boy cried until the utmost instinct of all life made him realize that he was going to freeze to death if he remained where he was. He sought refuge, warmth, a blanket, a hug. Managing the clunky skis over to a café he stood outside motionless, watching the guests remove their skis and enter. Upon stepping through the doorway the boy saw a large, merry family gathered at a table. Could it be his family had been there the whole time to welcome him to safety and laughter? a couple sat over hot coffee by an icy window, filled with shadows passing along in silence. The blond-haired man, probably in his mid-thirties, wore a brown cardigan and leaned on the table with his elbows as he stared at his companion, a brunette in a gray sweater that fed up and around her neck like arms of a small child fretting release. She was not looking at him but at her hands. The couple did not speak but shared something, a knowledge of the most important kind. And between them the steam of the coffee rose into absence. Then the boy knew what he wanted. More than warmth, more than food, more than money, more than safety, more than life, more than anything he wanted to tell their story to the world, and he wanted to do it as a writer. I found my mother after I left that beautiful place in the café. A figure slid over the world with arms wide and caught me where I had returned to the last place I knew where to look. My tears had been frozen for an hour. Since that day as a small boy, writing has often been a secret locking me in a prison. “In the end,” writes James Salter, “writing is like a prison, an island from which you will never be released but which is a kind of paradise: the solitude, the thoughts, the incredible joy of putting into words the essence of what you for the moment understand and with your whole heart want to believe” (Blythe 40). And as an unpublished, unread, unknown writer I can look once more and know I am not alone. 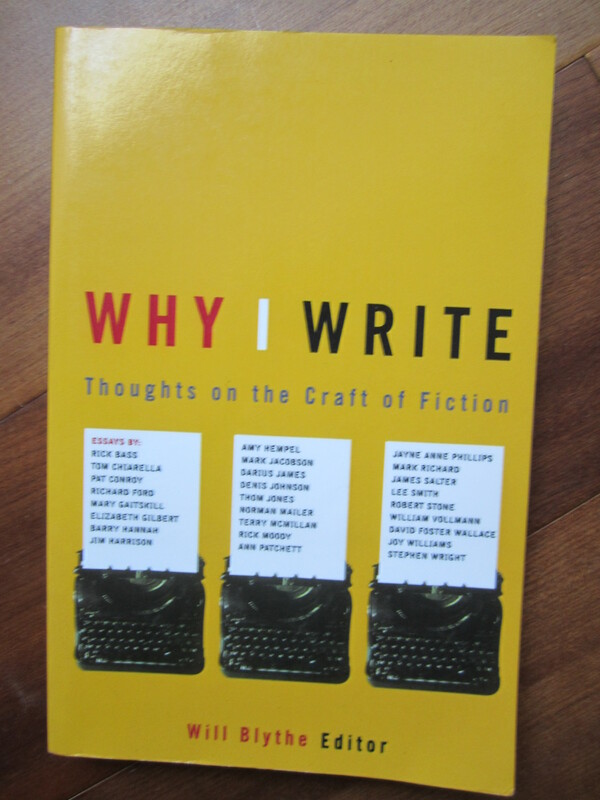 Why I Write: Thoughts on the Craft of Fiction, edited by Will Blythe, is a wonderful collection of writers who bare their souls to express their great love for writing, and who share a kindred spirit. 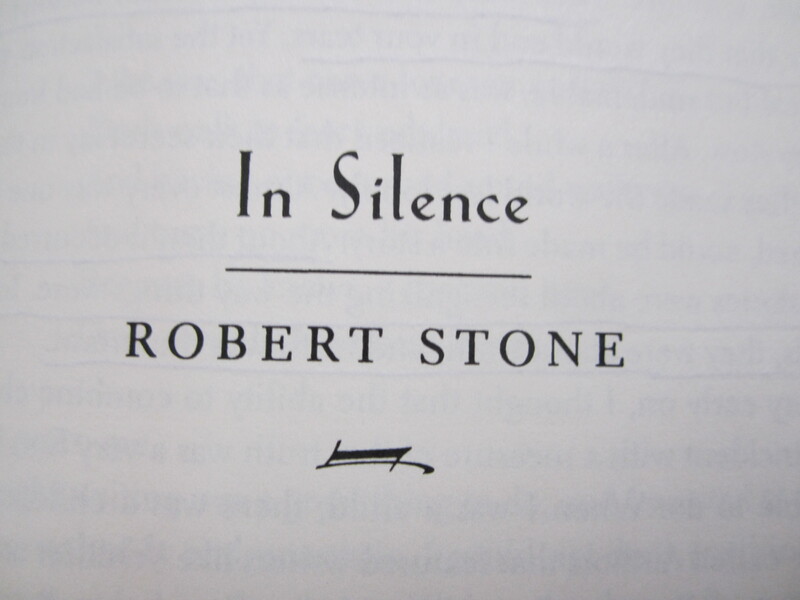 But the real question is: why do writers torture themselves with solitude, silence, silentium? And I was surprised to find that many writers in this vocation expressed what I have lived secretly with for the past two decades: that writing is a world, a pleasure, and a gift that has a purpose. Writing is a world unto itself and demands attention. Pat Conroy writes in “Stories”: “I long for that special moment when I take off into the pure, oxygen-rich sky of a sentence that streaks off into a night where I cannot follow, where I lose control, when the language seizes me and shakes me in such a way that I feel like both its victim and its copilot” (Blythe 50). Often I have spent hours in a trance lost to my words only to awake to find another world before me on the page. It was as though I allowed myself to become a doorway, a vehicle, much like Conroy, into another realm and once there the world had something important to say. Writing is a pleasure. In “Writing and a Life Lived Well: Notes on Allan Gurganus” Ann Patchett writes, “But there can also be great beauty. If that’s the way you want to play the cards, all of the struggle and loneliness of the job can be made into joy. We chose this, after all, we write because we wanted to do it more than anything else, and even when we hate it, there is nothing better” (Blythe 68). 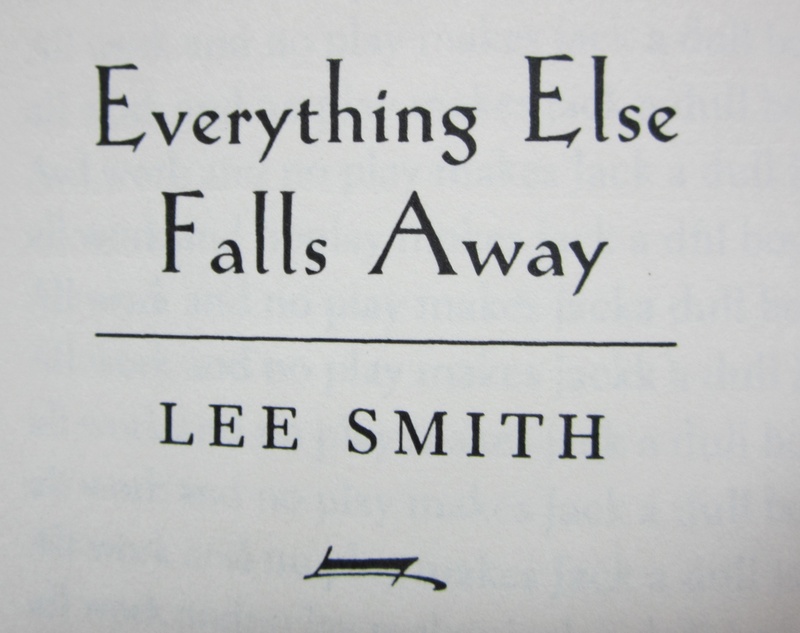 Lee Smith adds to this discussion in “Everything Else Falls Away”: “For me, writing is a physical joy. It is almost sexual—not the moment of fulfillment, but the moment when you open the door to the room where your lover is waiting, and everything else falls away” (Blythe 134). To much shock of listeners in writing workshops, I, like Smith, often refer to writing as a lover, and the experience one has with a lover, because I know not a deeper sense to express such a truly special joy, a pleasure that in the end desires commitment and sacrifice. 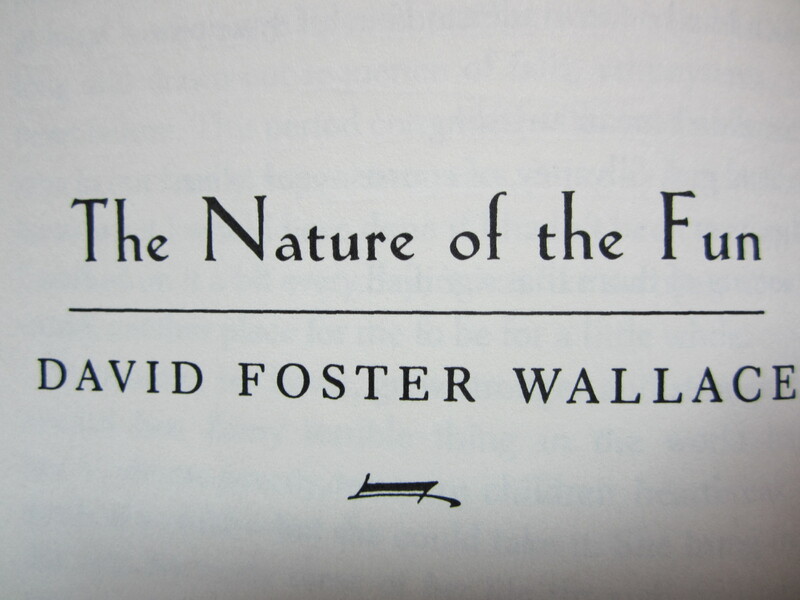 Writers know of this great beauty, even as far back as John Keats and John the Baptist, and the world will continue to listen to such forms of grace, because writing is an art and a gift for all of mankind and should be done responsibly. ”In any culture, art and literature seem terribly fragile, but we should remember that they always outlive the culture” (Blythe 148,154). In No Reverence, a novel I am currently working on about Iran in the 1970s under the Shah, “mawkish sincerity” is a form that I have tried, without success, to incorporate into my writing because it fits well with these modern times, especially in an America, riddled by political correctness and a poor economy, heading to its own possible demise, much like the glorious land of Iran before 1979, the year of my birth. Nevertheless, the “mayhem of human behavior” is what must be responded to, just like Ernest Hemingway writing For Whom the Bell Tolls (1940) against Fascism and exposing the truth behind the Spanish Civil War. George Orwell would also respond to Fascism in his classic dystopian novel Nineteen Eighty-Four (1949), inspired partly “by the meeting of the Allied leaders at the Tehran Conference of 1944” where he believed “Stalin, Churchill and Roosevelt consciously plotted to divide the world” (McCrum Web). Writing a book is a horrible, exhausting struggle, like a long bout of some painful illness. One would never undertake such a thing if one were not driven by some demon whom one can neither resist nor understand. For all one knows that demon is the same instinct that makes a baby squall for attention. And yet it is also true that one can write nothing readable unless one constantly struggles to efface one’s personality. Good prose is a windowpane (Web). 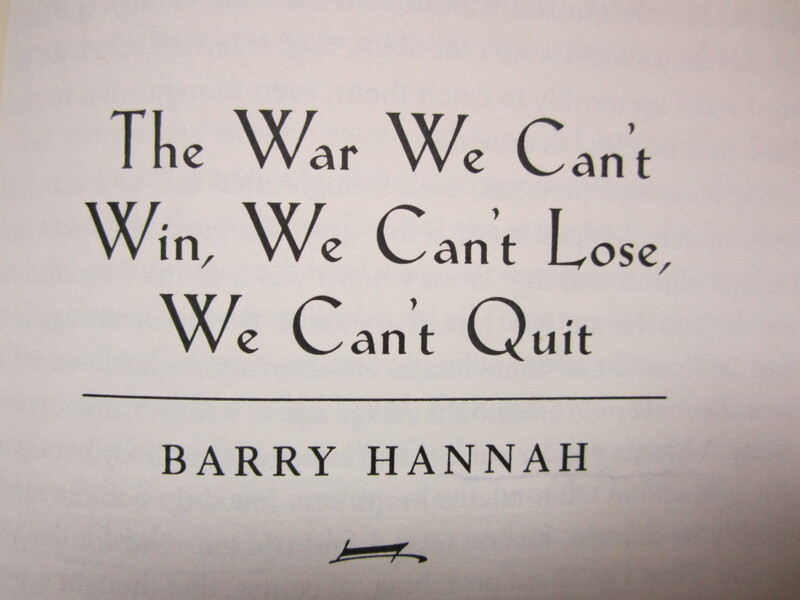 Why do writers write when they are faced with the insurmountable unlikelihood that they will ever be published, let alone noticed, especially if they, in this age, do not have enough Twitter or Facebook followers? My answer: because if these writers could not write they would literally die, because writing to them is the love that feeds their oxygen, because it sustains their aesthetic hearts during a death struggle with words, because in the moment of sharing a gift in great expectation that, one glorious day, the world would be inspired to peace and perfection is a reason worth writing for. But the life of a writer can be a splendid thing. 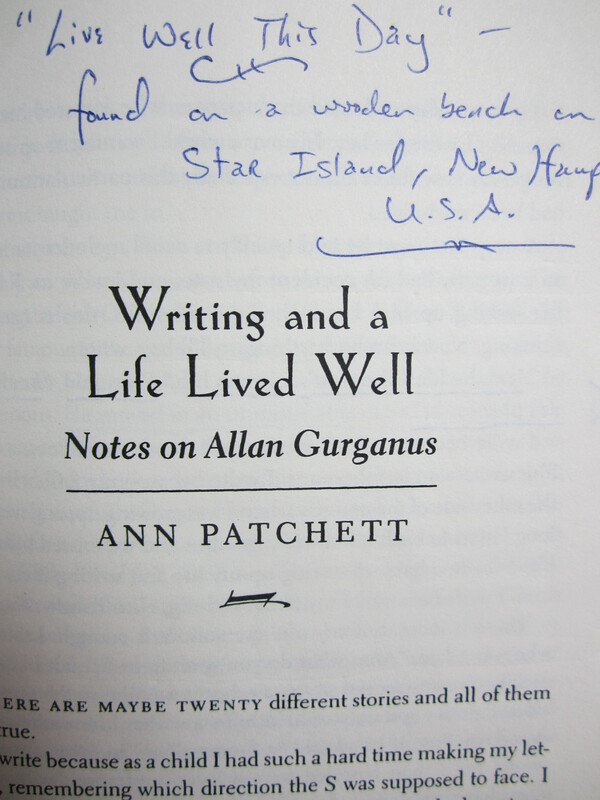 Ann Patchett wrote of how her friend, Lynn Roth, visited her and Allan Gurganus. Upon the leaving, Lynn told Allan how “he had the most remarkable quality of life she had ever seen” and he replied, “I never for a moment imagined that it would be any other way” (Blythe 68). Blythe, Will, ed. 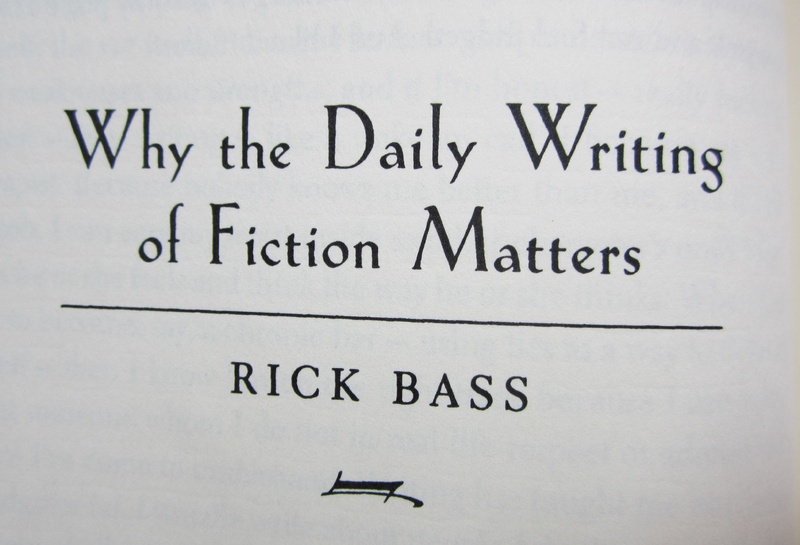 Why I Write: Thoughts on the Craft of Fiction. New York: Back Bay Books, 1999. Print. McCrum, Robert. “The Masterpiece that Killed George Orwell.” The Observer, The Guardian.co.uk, 10 May 2009. Web. 24 July 2012. Orwell, George. 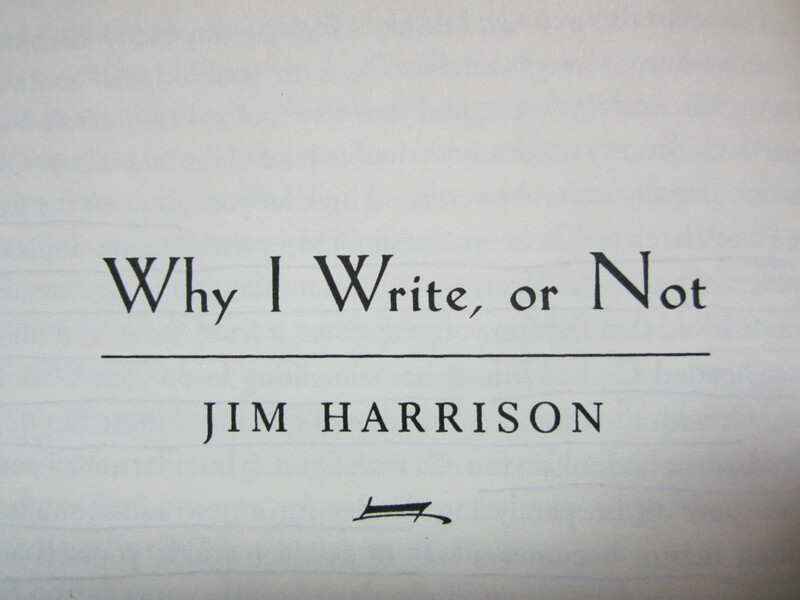 “Why I Write” (1946). Orwell.ru. 21 May 1997, mod. 24 July 2004. Web. 24 July 2012. Hola! I’ve been reading your blog for some time now and finally got the bravery to go ahead and give you a shout out from Dallas Tx!